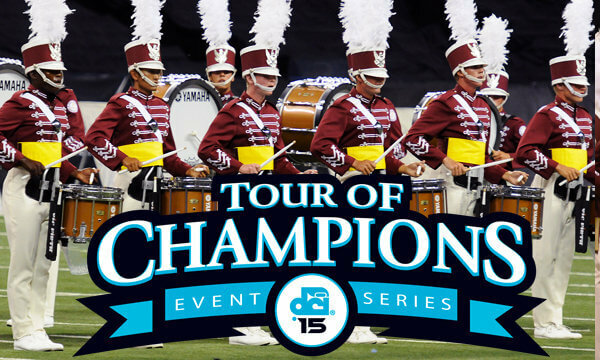 The Drum Corps International Tour travels to Ralph Wilson Stadium on Sunday, August 2, as part of the 2015 Tour of Champions event series. Debuting in 2011, the Tour of Champions (TOC) brings an exciting nontraditional and experimental event format to the DCI Tour. With special pre-show entertainment and combined corps performances, the TOC series is an engaging and interactive experience for the audience and participating corps members alike. Children 12 and under receive tickets for 50% off. Seniors (65+) and Military receive $3 discount. Ticket prices increase $5 in all sections the day of the show. Prices do not reflect additional handling fees. Individual tickets must be purchased via Ticketmaster online or by calling 800.745.3000. Groups of 20 or more receive a $5 discount on seats in all sections except for the Platinum sections. Call 317.275.1212 or Dave Robbins at (716) 949-1262 to order group tickets.